My quest is to play as many Coore & Crenshaw designed courses as possible! If you are or know a member of any of the private C+C courses, please email me at peterflanigan@hotmail.com. Confidentiality is guaranteed for anyone who can help me play these fantastic courses! I recently went on a trip deep into the ranch-land of America playing courses in Nebraska and Colorado. 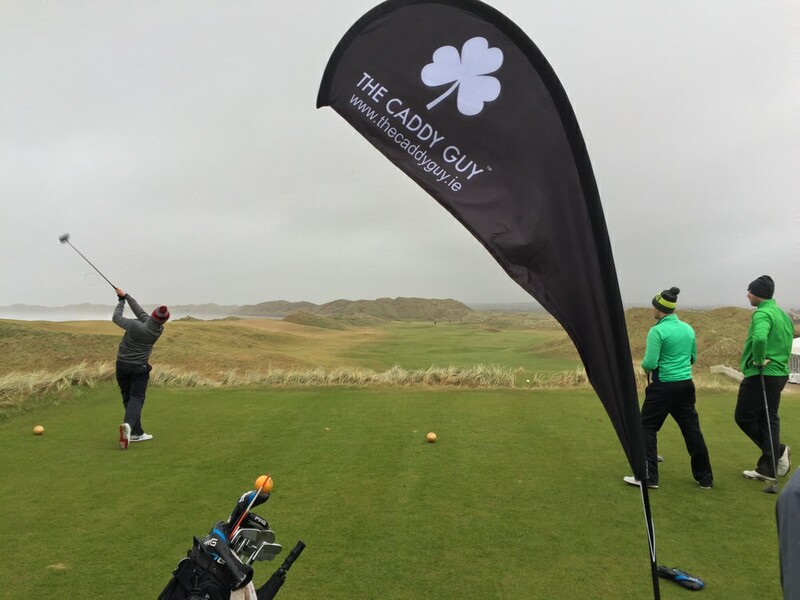 This is the last in a series of blog posts about the 99 holes I played at these amazing courses. Sand Hills Golf Club is one of those courses that golfers have heard whispers of but don't really know much about it. They have heard tales that it is the best links course in America, but yet it resides in Nebraska. They have heard it is one of the most naturally sculpted golf courses ever with the construction of the greens only costing $300 a hole. It constantly appears in world rankings as a top 20 course but it doesn't appear on TV for any tournaments nor really shows up anywhere other than certain publications. Sand Hills is a mystery that I greatly wanted to see for myself and I was fortunate enough to gain an invitation to play and you better believe I rearranged my schedule to see what all the whispers were about. "Sting" is putting it mildly Ben. Set in the rolling Fountain Hills just outside of Scottsdale, We Ko Pa's Saguaro course has a LOT of bite to it and will test any amateur golfer. Almost every hole necessitates a carry over desert scrub brush and/or gullies. The only way to truly attack this course is to drive it long and straight, otherwise you will be picking cactus needles out of your ball all day. Since the course is set amongst rolling hills, you are often hitting to the tops of hills and if not, you are looking at blind second and third shots. Unlike its sister course "Cholla", the hole and all of its danger is clearly in front of you. It is one of the ultimate target/execution desert courses you could play in Arizona. There are zero houses surrounding the course (a rarity from what I learned from my Arizona playing companions) and you really are out in the middle of nowhere playing golf. When you think desert you think sand. One of the biggest things about playing Talking Stick North is trying to avoid the sand at all costs, which isn't easy as the duo has sculpted the course so you find your way into bunkers very easily. Bunkers, bunkers everywhere and where is my rake? (its a famous poem for sure). Arizona has a problem; it has a ton of amazing golf courses but very few of them are not in housing developments. So when you can play a course that just sits in the desert and is surrounded by the mountain beauty of Arizona it is a true joy and C+C make a really nice desert course that sits in this landscape and let's you enjoy nature. which actually has a roadrunner hanging out on it. I got such a kick out of this and if you play TSN definitely be on the lookout for all manner of wildlife as prairie dogs, birds of all feathers and even a random coyote are present for your round. Arizona is a weirdly beautiful state. Most of it looks like it stepped out of John Ford Western with its miles of scrub brush and towering rock formations. People have harnessed the power of the rivers to turn this desert into a place of grass and trees and none of this is more evident than playing Talking Stick South. Unlike many of its Arizona brethren, TSS feels much more like an Eastern Course than a desert one. Look at the left side of this blog. You will notice 22 courses in North America that C+C have designed (not counting their renovation work, individual designs, etc.) and a full 11 of which are private. 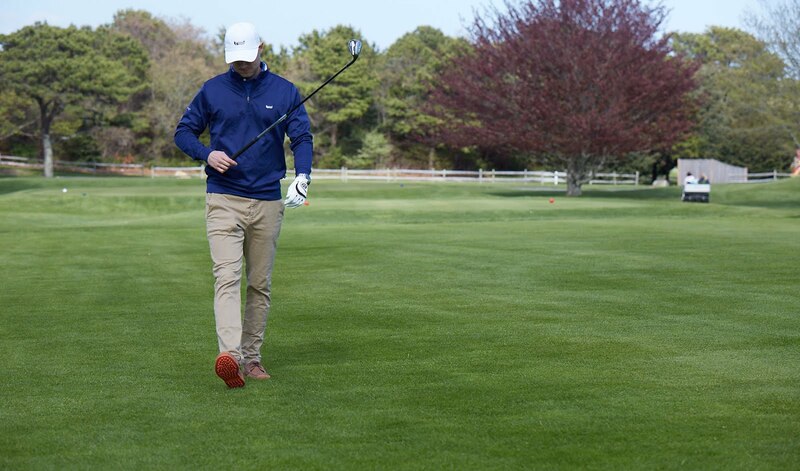 Private golf courses in the United States are almost NEVER opened to the hoi polloi and only if you scrounge a friendship, a business connection or go to a charity event do the rest of us get to peer inside the gate. Many people have lifted the curtain on courses in print and on the web but very few people tell you HOW they got onto these tracks. I have started the process with my own Cypress Point Quest but John Sabino has really upped the ante with his recently released book "How To Play The World's Most Exclusive Golf Clubs" and boy does he take you all over the world and how to get into these places. 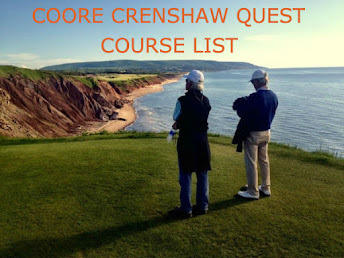 As all three readers of this blog knows, I am on a quest to play as many of the Coore-Crenshaw designed golf courses as I possibly can. This year I am really ramping up my C+C game and thought I would update you guys on what is going on! In a month I am going on an Arizona golf adventure and will be knocking off 3, count em 3, Coore-Crenshaw courses, We-Ko-Pa and the two courses at Talking Stick. I have never played golf in Arizona and I am expecting hot, heaping, heat but also great golf courses. Next up, and BIG news, I have been invited to play at Sand Hills Golf Club!!!! I am beyond excited and have been bouncing off the walls since the invite. So many people say its a golf-life changing experience and I can't wait to experience it for myself!